I didn't try these personally, I didn't get the chance. My kids snatched them and ate them before I could even get one. They loved them. The flavour, the crunch. They thought they were fantastic!! 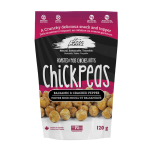 Our friends at Three Farmers created the ultimate nutritious snack - roasted chickpeas! With an impressive nutritional profile and a satisfying airy crunch. Three Farmers roasted chickpeas are both delicious and good for you. Loaded with protein and fibre, they are also rich in Omega-3 due to the camelina oil that's used to season these tasty little legumes. 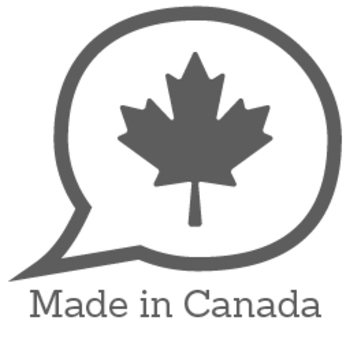 If that's not amazing enough, they are grown and made in Canada and you can trace each bag back to the story of how they were made! They come in five amazing flavours that we cannot get enough of: Barbecue, Balsamic & Cracked Pepper, Sea Salt & Lime, Lightly Salted and Maple Cinnamon. 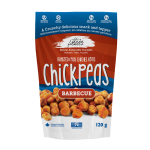 BARBECUE ROASTED CHICKPEAS: Dry roasted chickpeas, Seasoning (evaporated cane sugar, tomato powder, salt, spices, onion powder, yeast extract, garlic powder, corn starch, natural flavour, citric acid, spice extractives, smoke flavour), and expeller-pressed camelina oil. 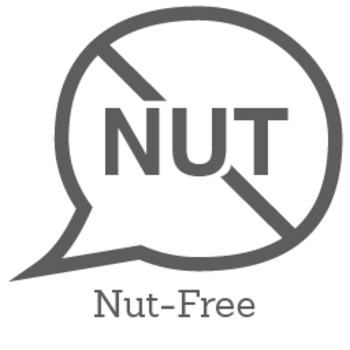 BALSAMIC & CRACKED PEPPER ROASTED CHICKPEAS: Chickpeas, Seasoning (maltodextrin, salt, evaporated cane sugar, spices, balsamic vinegar, Yeast extract, White distilled vinegar, Citric acid, Cornstarch, Sunflower oil, spice extractive), and Camelina oil. 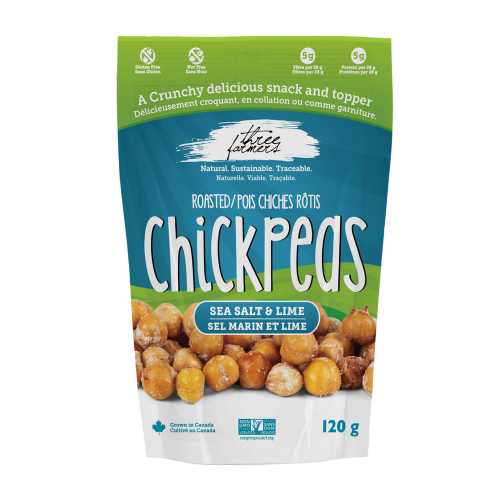 SEA SALT & LIME ROASTED CHICKPEAS: Dry roasted chickpeas, Seasoning (sea salt, evaporated cane sugar, citric acid, natural flavour, Yeast extract, Onion powder, Garlic powder, Sunflower oil), and expeller pressed camelina oil. Not bad. Tend to have a bit of a stale taste. I prefer their other products over the chickpeas. I find them much harder than other brands I’ve tried which some people prefer but I like the more airpopped options out there. Great addition to salads! 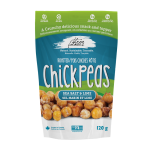 I honstly did not think I was gong to like these one bit, at the time, I was just starting to experiment with chickpeas. Since then, these have become a staple snack in my home and even my hubby eats them and he is super picky. These are full of flavor and satisfy my crunch craving, each piece is coated with salt and hints of lime . I ate almost the entire bag one afternoon at work, sharing them with my co-workers. 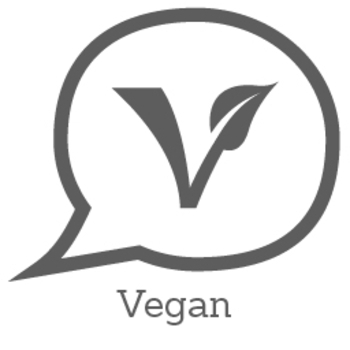 I love that they are Canadian gown and made and that they are vegan, I high recommend these, guilt free snack packed with mega nutrients. This was a nice light healthy alternative snack. I found at times the lime was a bit too much. 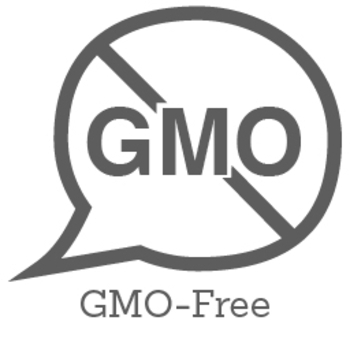 This is way better than mindless snacking on chips with the added benefit of protein.